AQR Section 17: Which Histogram has more Variation? 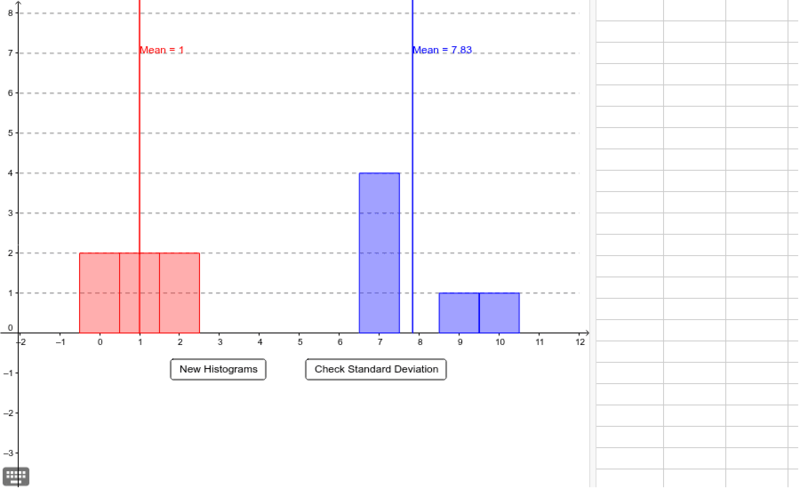 For the applet below, which histogram has the greatest standard deviation? Try to make a decision based on how the histogram "looks." You can use the spreadsheet to calculate the standard deviations for each histogram.